Deacon’s Guide to the Divine Liturgy of the Armenian Church is an updated and revised edition of the classic book by His Beatitude Archbishop Torkom Manoogian, of blessed memory, the late Patriarch of Jerusalem and Primate of the Eastern Diocese. The original edition of the Deacons’ Guide contained the distillation of Archbishop Manoogian’s deep understanding, presented in an accessible way—and it inspired an entire generation of altar servers. Though out of print for many years, old thumb-worn copies were much sought—after by those serving, and training to serve, on the altar of the Lord. The revised edition of the Deacons’ Guide incorporates musical notations, ritual instructions and visual diagrams, to augment the Armenian text of the deacons’ parts (in classical and Western versions) with transliteration and translation in English. The book has been designed as a companion to The Divine Liturgy of the Armenian Church (the “pew book” previously published by the Diocese and used in nearly all of its parishes), employing marginal notations that synchronize the pages of the two volumes. 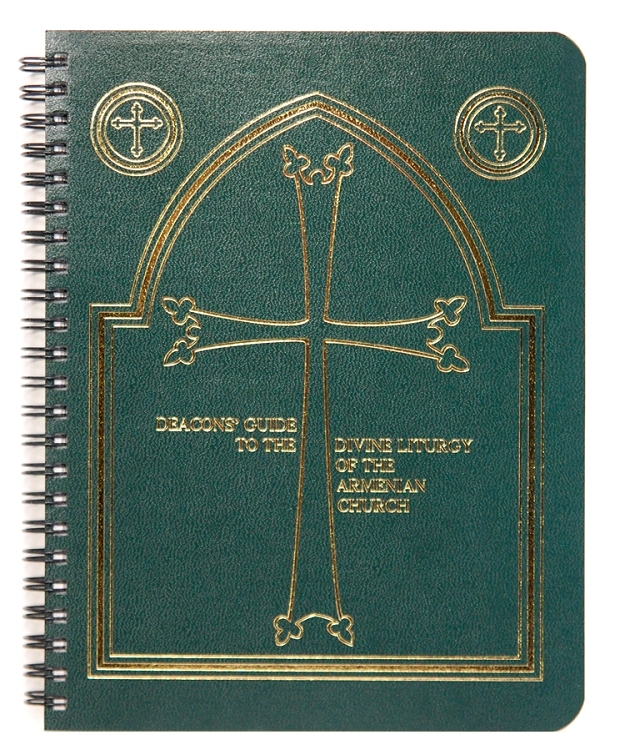 The Deacons’ Guide is small enough to hold comfortably in one hand, with a durable cover and spiral binding. The book itself represents one of the many beautiful legacies Patriarch Torkom Manoogian bequeathed to us: his emphasis on the proper singing of the altar servers’ roles during the Divine Liturgy.